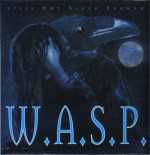 Still Not Black Enough is the sixth studio album by W.A.S.P., first released in June 1995 in Japan only. It was not released in the U.S. until August 1996 through Castle Records. 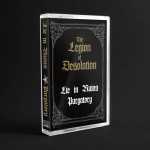 Still Not Black Enough was originally slated for release as a Blackie Lawless solo album, but due to the heavy content, Lawless changed his mind and decided to release it as a W.A.S.P. album. This had also been the case for the previous album, The Crimson Idol. Still Not Black Enough is considered somewhat a successor to The Crimson Idol, bearing a strong resemblance with its lyrical themes. However, instead of telling the story of the fictional character Jonathan, this album is mostly a collection of personal songs from Blackie Lawless, including issues involving the death of his mother and personal crises just after world tour for The Crimson Idol. Limited to 250 copies in black wax worldwide only. Warlord was one of the great anomalies of the ‘80s. Loved the music, even though they never performed live, before disappearing off the face of the Earth. Along with like-minded Crimson Glory and Savatage. "The Hunt For Damien" is a compilation, that consists of 9 songs re-recorded but it features Nicholas Leptos on vocals. 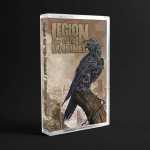 The disc contains of songs from every Album/EP that Warlord has released to date. Limited to 266 copies in solid mint green wax!!! Warthrone, the vicious Black / Death metal force spawned in 2004 from the depths of the USA underground scene by Members Erik Sayenga (former Dying Fetus drummer, Witch-hunt drummer/guitarist), Kristel (former Witch-hunt keyboardist/dark purity bass) and Richard Johnson (former Witch-hunt). Warthrone creates a dichotomy of extreme and intense metal with epic haunting passages and symphonic blistering structures throughout and combines influences that range from Symphonic Black Metal to Death / Grind which was presented on their self-released debut 6 song EP "Ghoststorm Eulogy" in 2005. After a brief hiatus, in July of 2014 they were back full force to release their 8 song full-length album entitled "Venomassacre". Warthrone's sound pushes the boundaries of what standard Black / Death Metal is known for, keeping harsh vocals and tasteful, yet brutal musicianship throughout the spectrum of the music while still maintaining memorable riffs at a furious pace. 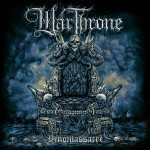 Warthrone display an attack of symphonic black metal and brutal death metal that flows together without feeling like one specific genre. Comes as clear vinyl with blue spatter. Special vinyl mastering. Limited to 100 copies. Death Arrives!!! 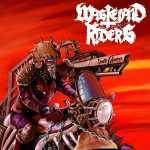 First full-length by the spanish Speed Metal freaks squad Wasteland Riders!!! Limited to 100 clear red pieces. 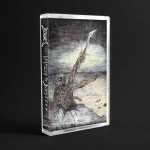 Watain - sworn to the dark, a Black Metal masterpiece. The wait is over! The new WEAK ASIDE album "The Next Offensive" will be released. Fans had to be patient for almost five years after the last album "Ghostleader" but now WEAK ASIDE have created a real death-metal-monster, shaping up as "The Next Offensive", an absolute must-have for fans of Bolt Thrower, Morgoth, Dismember, etc.! Artwork by Thomas „Necromaniac“ Westphal. Limited to 200 copies in white black marbled wax. 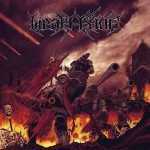 Wehrmacht - Biermacht, the second masterpiece limited Picture Disc LP edition, only 400 pressed! Wehrmacht - shark attack, classic debut "Shark attack" (1987), a milestone of furious Thrash/Speedcore. Picture vinyl edition comes in a noble gatefold, limited to 400 copies. I swear I feel that Wilt is more "doom" oriented than I do, as it would be for black metal. Even though, there is a ton of atmosphere on this album, it still has more of a "doom" feel. 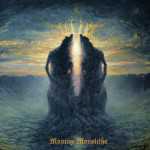 For the first few minutes on the first track "Illusion of Hope", up until the mark, you get straight up, mesmerizing, very groove-oriented doom metal. Extremely, very slow guitars and drumming, I mean intensely slow. Then, this is where the atmosphere really picks up, and Jordan scream-sings with such demanding force, you can actually feel the power of it! At you get that "groove" feeling again, where it's just so pleasantly oscillating. This song is really something of pure splendor. I mean, when you can actually feel the force of not just the vocals, but the music in itself, that's really something special, as is their album Moving Monoliths. Limited to 400 copies in deep black wax. 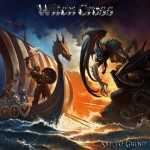 Witch Cross - axe to grind, cult Heavy Metal from Danmark. Witchery is a Swedish thrash/speed metal band, formed by former members of Satanic Slaughter in 1997. Witchery quickly gathered a cult following with their combination of serious, technical thrash metal and all topics "dead". Their strictly tongue-in-cheek humour, often involving executions, murder, necrophilia, resurrections and other morbid topics can be spotted in song titles and album names as well as in their very own mascot - an animated skeleton called "Ben Wrangle." 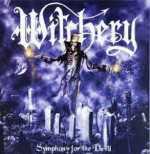 Symphony For The Devil is Witchery's third full-length studio album. 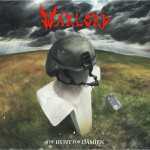 It was released in 2001 and has received underground acclaim from metal fanzines and webzines. The album continues in the style of previous Witchery releases, with thrash metal riffing and solos, but with a black and death metal influence. 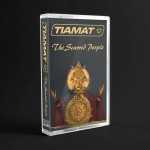 This album sees Martin Axe of Opeth on drums, after the departure of former Witchery drummer Mique. Limited double vinyl edition in clear wax!!! 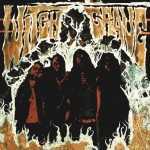 Witchgrave - s/t, pressing in white wax limited to 300 copies. Devil Heavy Metal from Sweden in vein of old Venom, Angel Witch and Hell. 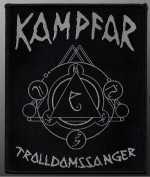 The next masterpiece of this swedish extreme and unique black metal act. Excellent and best album up to date. Vinyl version of their latest album, limited to 400 copies in black wax, comes with printed innersleeve & Poster. 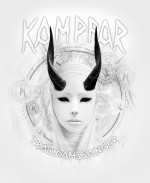 Swedish Perverted Black Avantgarde Metal. 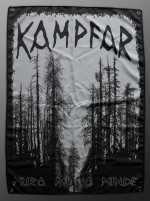 Hamptjärn is a depressive black metal music album recording by Woods Of Infinity. 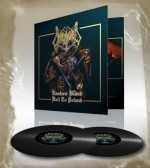 Black vinyl edition limited to 400 copies in noble gatefold. WOUND will be back in January 2017 with their new 8-tracker entitled „Engrained“. 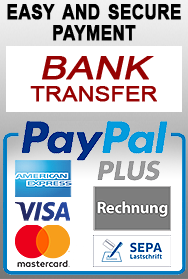 Classic outstanding blackened Death Metal from Germany. No namedropping needed here, „Engrained“ stays for itself, pure passion, tons of musical emotions combined in 8 new songs. Today we present the great coverartwork, made by the amazing german artist Waeik who was also responsible for the previous Wound artworks. Limited to 300 copies in black wax. Vinyl comes in gatefold sleeve + download code!! !